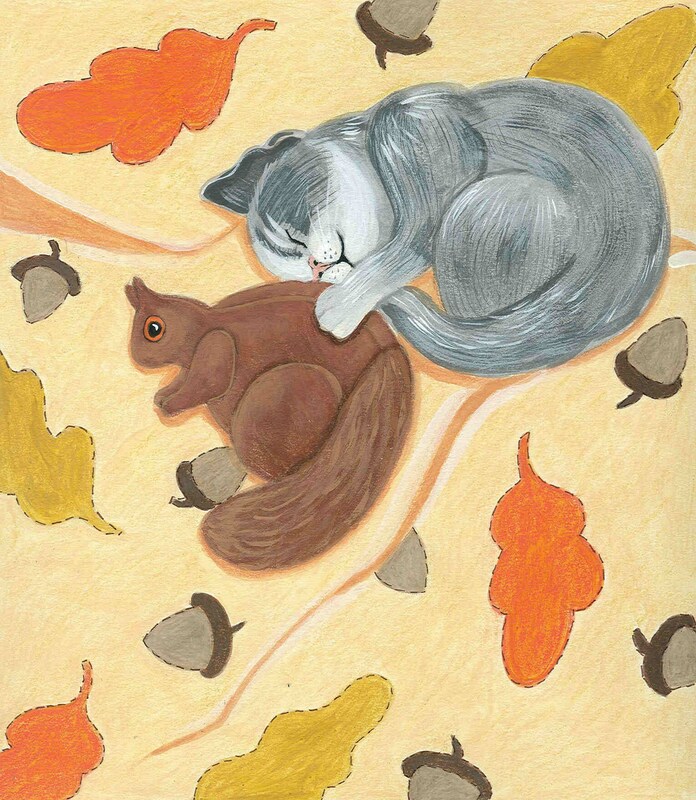 This sweet little kitty is all curled up with his stuffed squirrel fast asleep on his Autumn quilt. This would make a sweet greeting for Halloween or Thanksgiving. Each notecard measures approx 4x5" and comes with a matching envelope in a cello sleeve. The cards are left blank for your own special message. EXCELLENT transaction! SUPERFAST shipping! FANTASTIC seller! BEAUTIFUL! THANK YOU VERY MUCH!